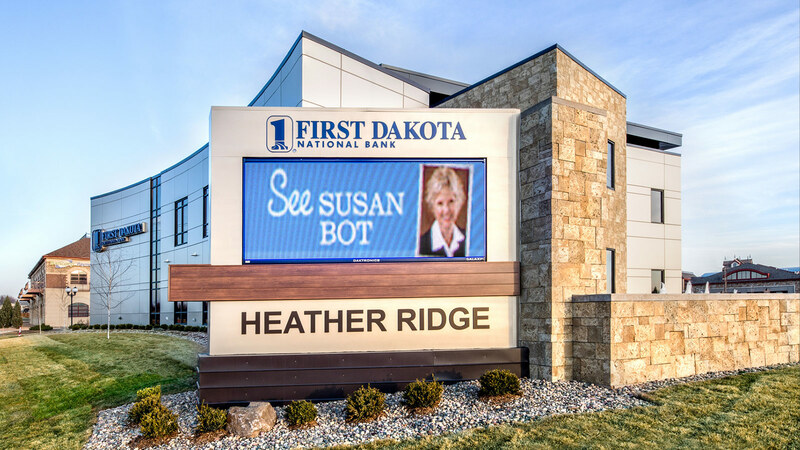 With a relationship dating back to 2007, TSP and First Dakota National Bank have partnered on several banking facilities in Sioux Falls and the surrounding communities. 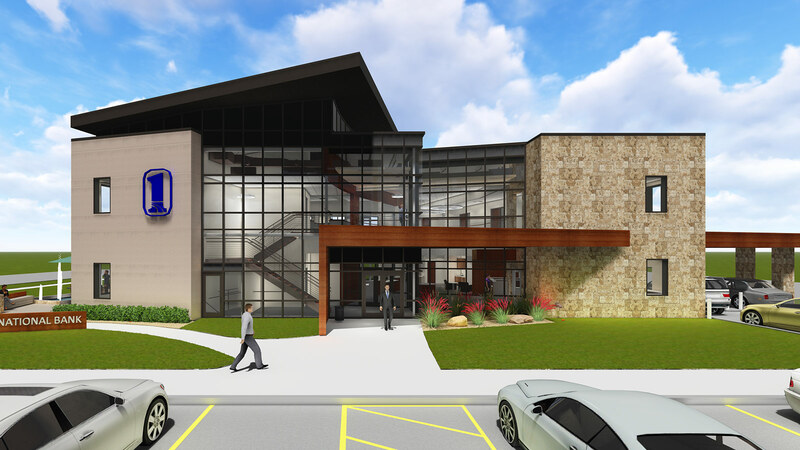 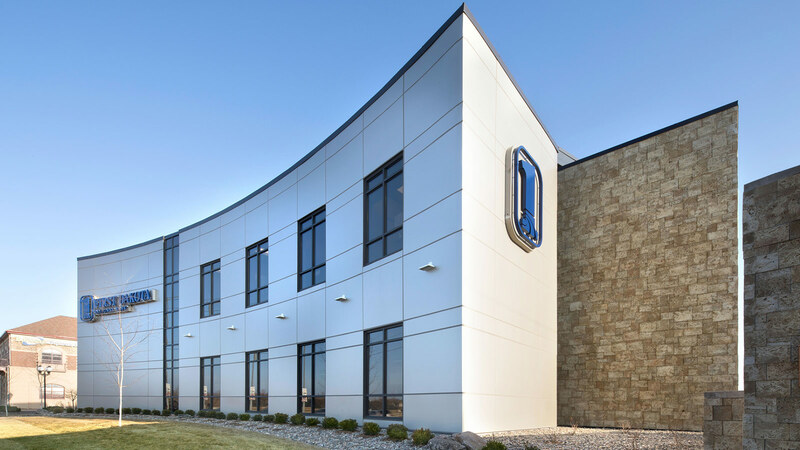 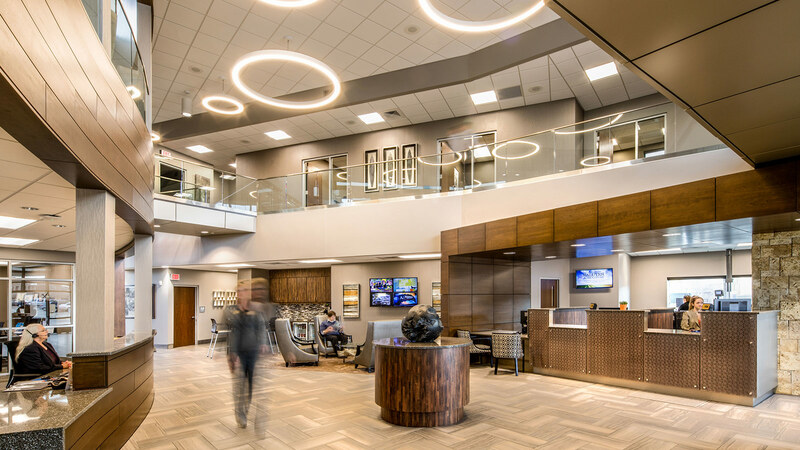 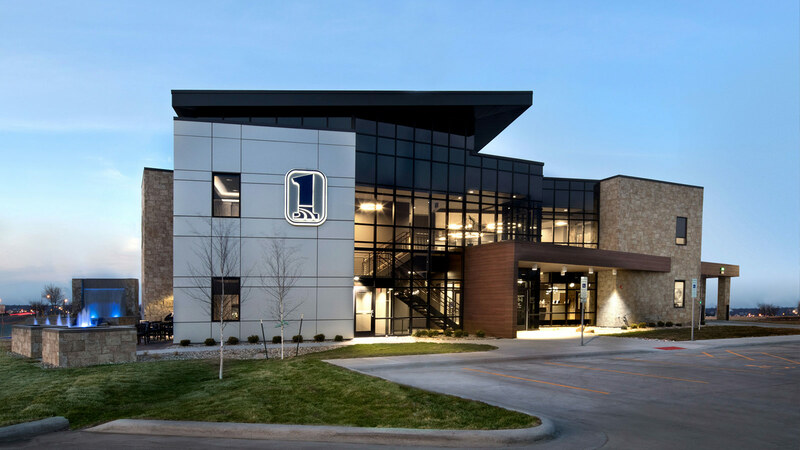 Earlier Sioux Falls projects included the 4,000 sf Louise Avenue branch and a larger, 10,511 sf single-story branch in a growing section of the city’s east side. 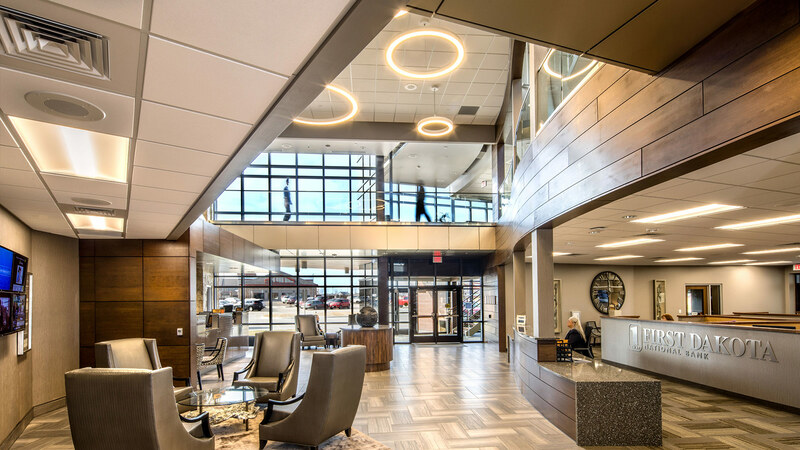 The latest Sioux Falls addition, the South branch, features a refreshed design for its prominent site at a high-traffic intersection. 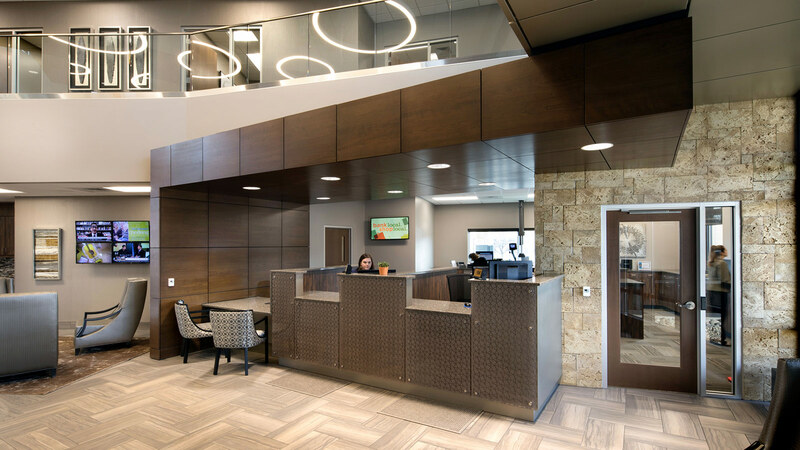 The three-story facility incorporates typical banking operations as well as many of the bank’s operational departments. 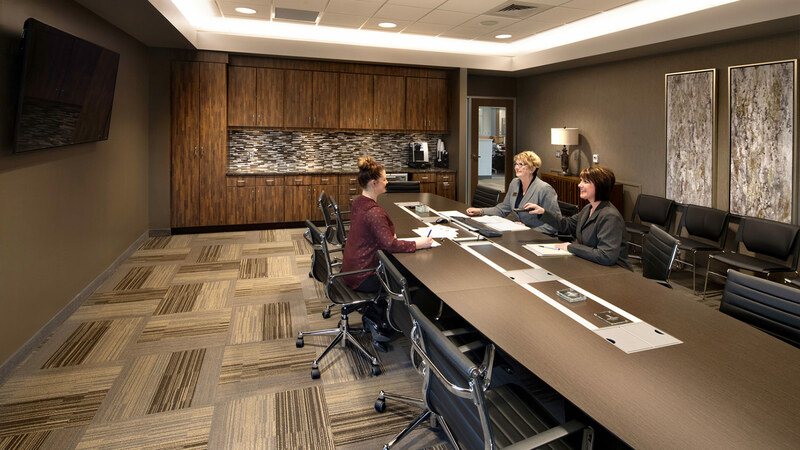 Bank officials made a deliberate move away from the traditional dark paneling and marble floors. 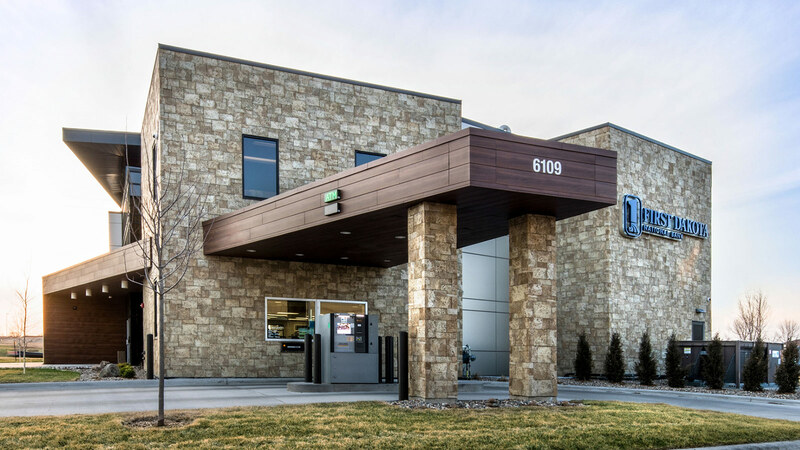 Instead, the new bank projects a modern and progressive image with metal panels and cut stone. 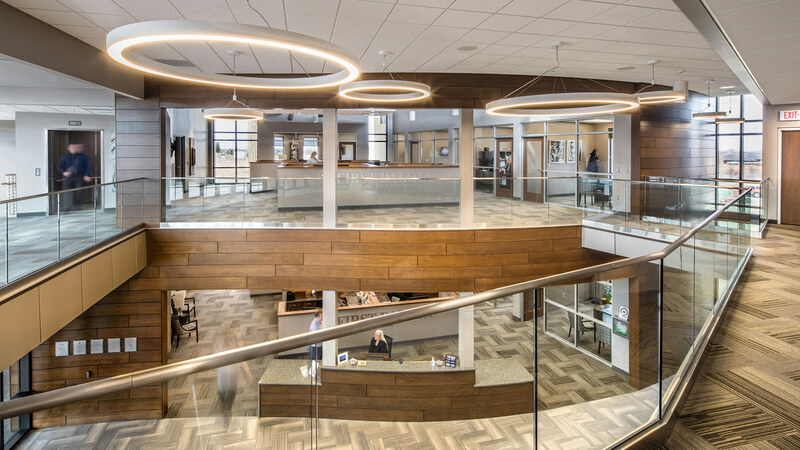 A self-service coffee shop draws customer inside the building, making it a destination spot. 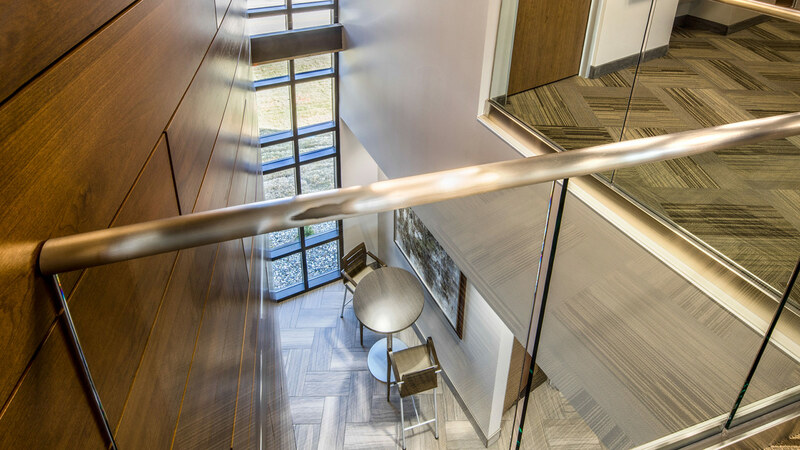 The building’s interior echoes the exterior stone, and curves replace 90-degree angles. 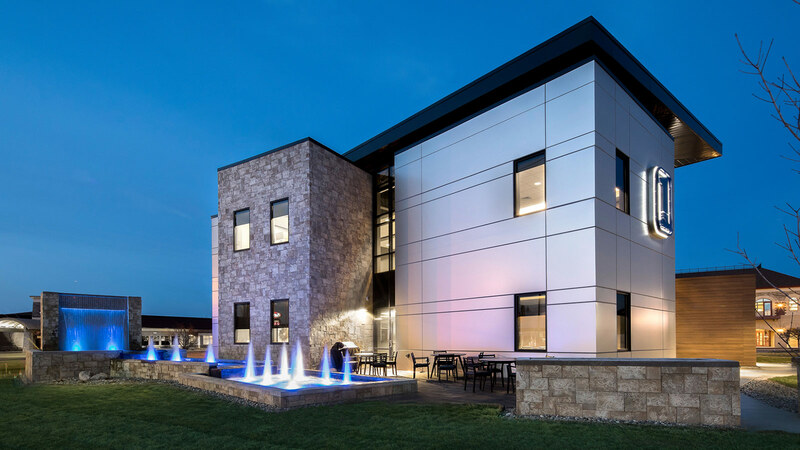 An outdoor patio features a waterfall and fountain, carrying through First Dakota’s tradition of using water features at its properties. 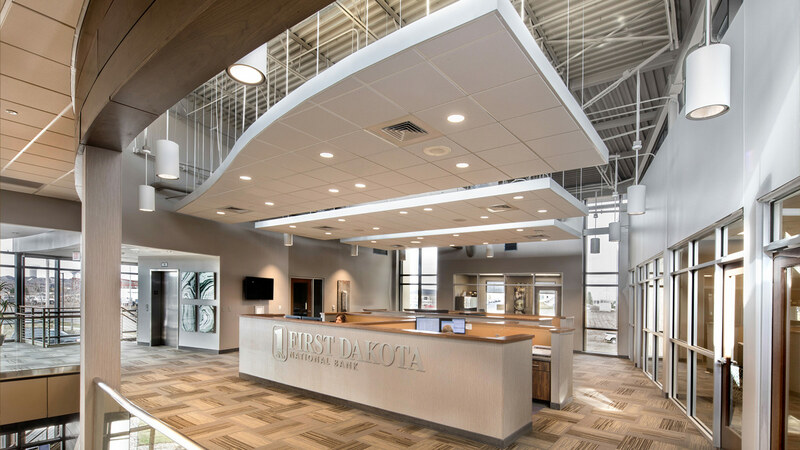 Client numbers at all Sioux Falls branches have exceeded expectations, according to Mike Ness, First Dakota president/market manager Sioux Falls. 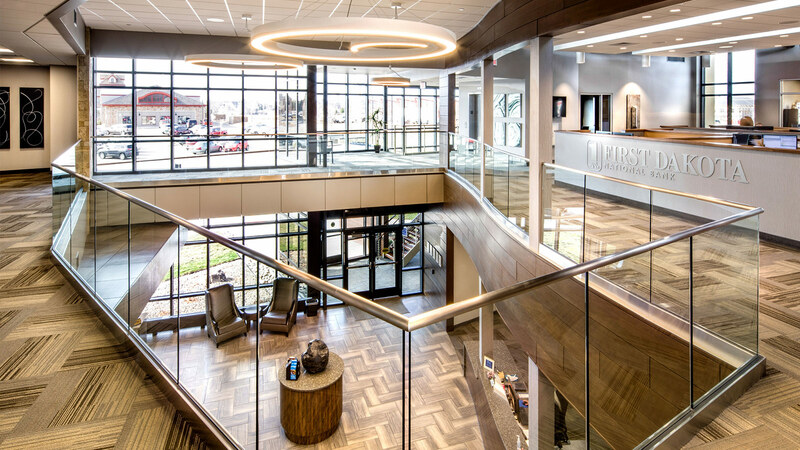 “As much as the banking environment has shifted, with people not using safety deposit boxes the way they once did, they still want face-to-face transactions for certain things,” he says.